Join The Official Fan Club Today! The legendary Kiss Army Fan Club returns with the new 2019 Membership Kit! Exclusive Collectable Kiss Army Pin! 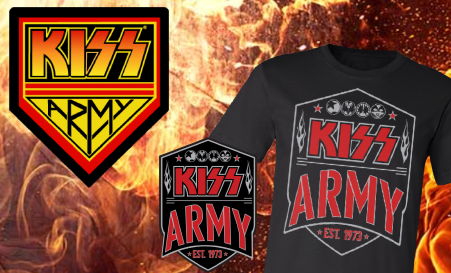 10% ongoing discount and access to member only merchandise from the Official Kiss Online Shop! Pre-sale access to Kiss concert tickets and VIP / Meet & Greet packages before public on-sale dates! KISS Army Membership is $50/year plus shipping and tax.